Neonicotinoids are a newer class of insecticides that are chemically related to nicotine. Like nicotine, they act on certain receptors in the central nervous system. In insects, they cause paralysis and death. After becoming concerned about the use of neonicotinoids and the health risks they pose to bees, as well as local waterways and other wildlife, the state of Maryland recently decided they’ve had enough. 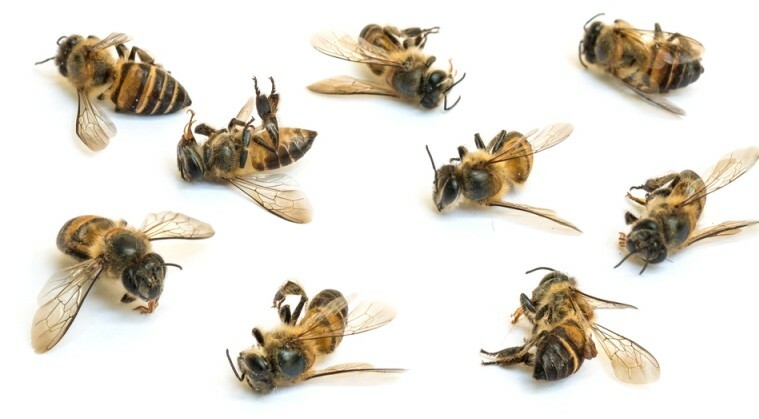 Research shows that toxic neonictinoid pesticides not only kill and harm bees, butterflies and birds, they also pose a serious threat to food, public health and other wildlife, and they are playing a significant role in bees dying at alarming rates around the world. According to the Maryland Pesticide Network, beekeepers in Maryland lost 61% of their bees last year, which is about twice the national average. n an effort to save the honeybee population, the Pollinator Protection Act was created. The act aims to curb consumer purchases of products that contain neonicotinoids, and ensure that consumers are informed when plants have been grown or treated with them. Maryland lawmakers recently passed bills that would ban stores from selling products laced with neonicotinoids to homeowners. The two bills, SB 198 and HB 211, are expected to be combined into a single piece of legislation for Governor Larry Hogan to sign within the next two weeks. Hogan’s signature would turn Maryland into the first state to ban the harmful pesticides from people who aren’t using them properly. When the law takes effect in 2018, farmers and professionals who have a better understanding of the pesticides and how to apply them in a way that poses a lesser threat to bees would be exempted.